The Model 100 Stile-Avator LG was designed and built to facilitate shaping away an entire edge from the work piece. 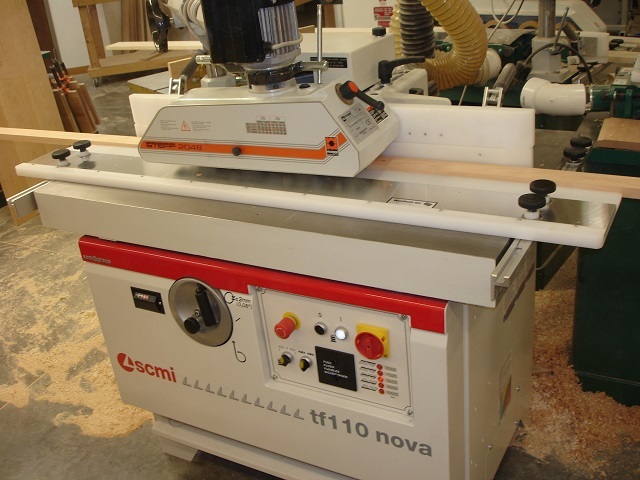 It can be used to do the stick (stile - pattern) cut and give finished parts that have extremely uniform width over the entire length of the stick. Another useful application of the Model 100 Stile-Avator LG is to use it to S4S face frame stock that has been ripped from wider boards. 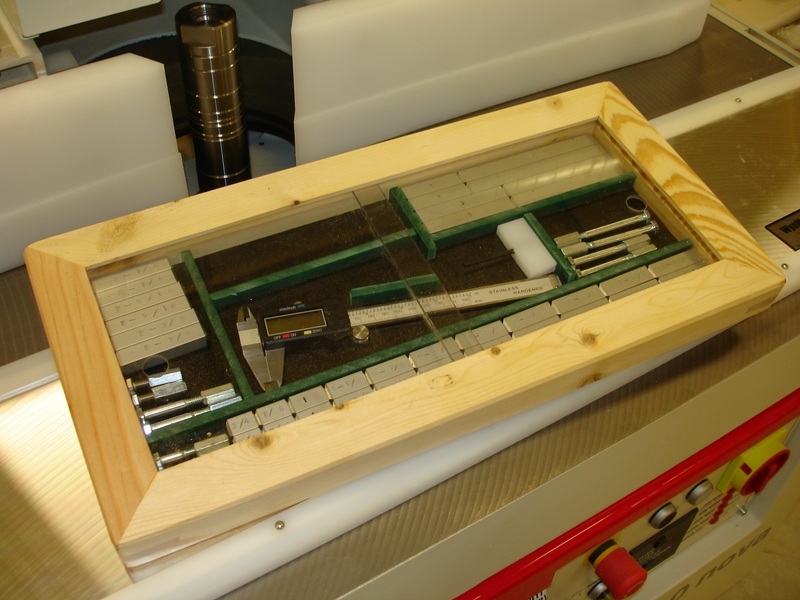 The width of the stock for face frame or stick is controlled by the use of precision cut spacer pairs. 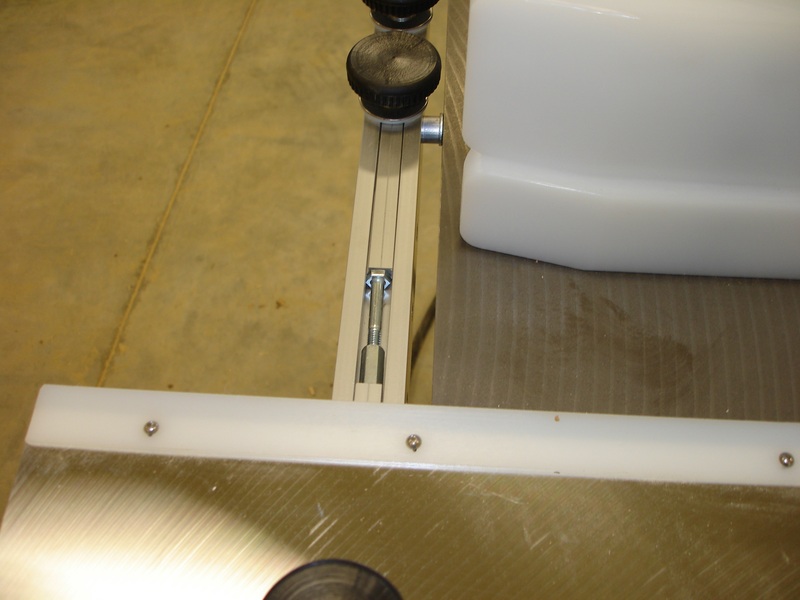 The spacers drop into the rails on both sides of the shaper and determine the distance from the plate-fence to the cutter. 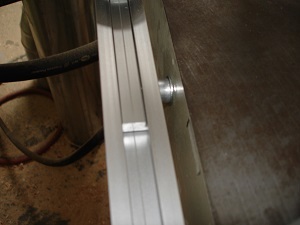 The wood usually on the conventional fence has been removed and replaced by the WynMatic Inc. pressure bar assemblies. 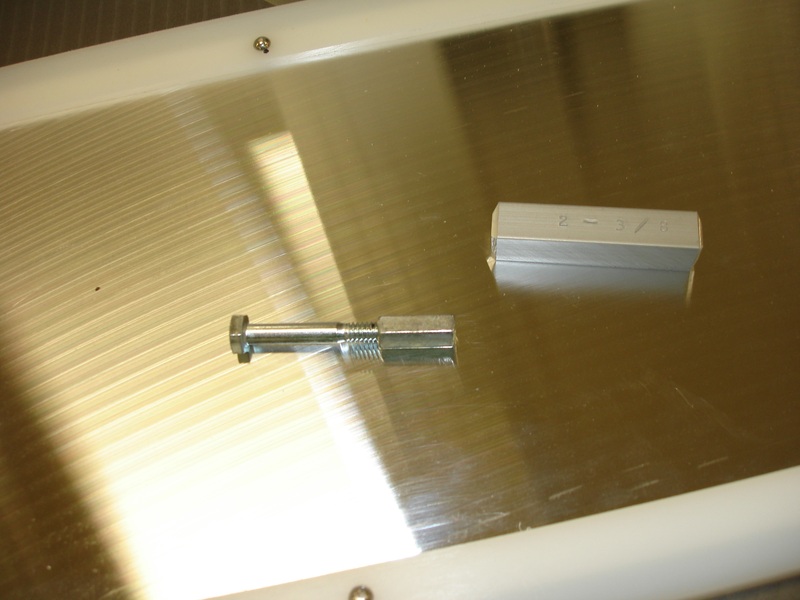 These assemblies have a bottom strip which is spring loaded to push the piece being cut back against the fence-plate while shaping takes place. 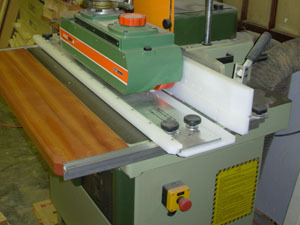 The user has the option of feeding the wood in the usual direction or back feeding (climb cut) to eliminate chipping. Keep in mind that a power feeder must be used with the Model 100 Stile-Avator LG at all times. This product is fully disclosed and protected by our newly granted United States Patent number 07360567. Above photo shows Stile-Avator plate installed. securely to the rails on left and right side of shaper. the distance from the plate to the cutter. 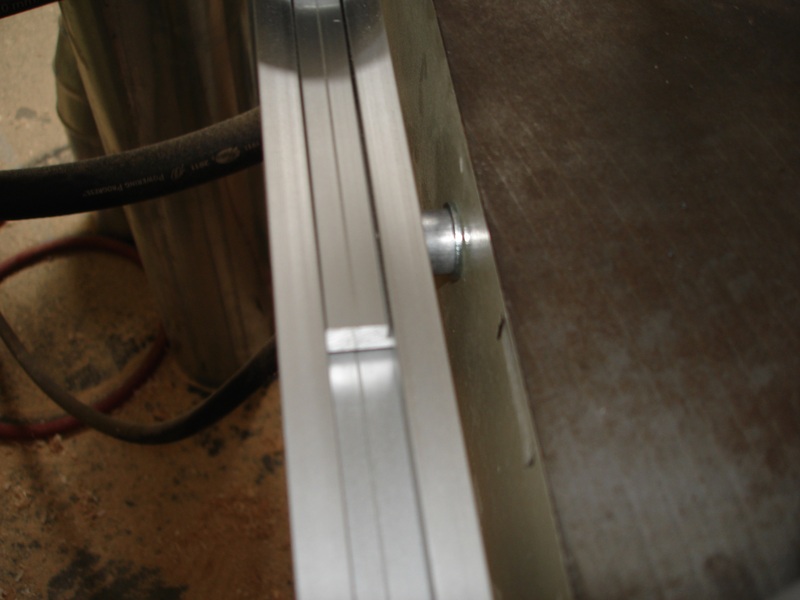 The above photo shows an adjustable spacer and a solid spacer. 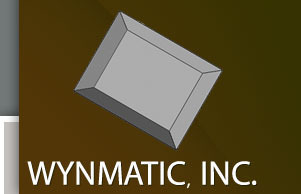 is included as part of the Stile-Avator system.